The Los Angeles Rams signed running back C.J. Anderson, the team announced on Tuesday. Todd Gurley has been exceptional all season, but the fourth-year running back suffered a knee injury in a 30-23 loss to the Philadelphia Eagles last weekend. Gurley returned to the game and is currently considered day-to-day, but Los Angeles decided to sign Anderson as an insurance policy. Anderson started this season with the Carolina Panthers but was used sparingly because of Christian McCaffrey's breakout year. 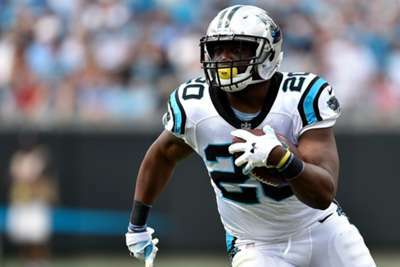 He recorded 24 carries for 104 yards before Carolina cut him on November 18. Anderson then signed with the Oakland Raiders in early December, but did not make the field and was waived less than a week later. The Rams are 11-3 and have already clinched a playoff berth. They will play the Cardinals in Arizona on Sunday.